Bernie Madoff wants to keep his luxurious penthouse. NEW YORK — Bernard Madoff is claiming a $7 million Manhattan penthouse and an additional $62 million in assets can be kept from investors, saying they are unrelated to the fraud that authorities say cost victims more than $50 billion. In court papers filed Monday in U.S. District Court in Manhattan, Madoff and his lawyer claim the apartment, $45 million in municipal bonds and $17 million more in a separate account all belong to Madoff's wife, Ruth. The bonds in an account held by Ruth Madoff at COHMAD Securities Corp. and about $17 million held by her in a Wachovia Bank account "are unrelated to the alleged Madoff fraud and only Ruth Madoff has a beneficial interest in these assets," Bernard Madoff and lawyer Ira Sorkin say, according to the papers. Sorkin declined to comment Monday. 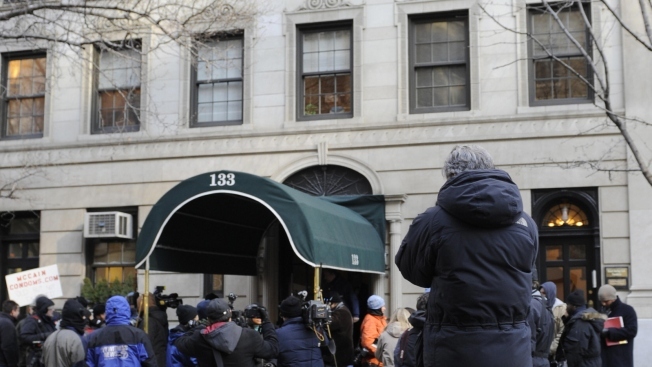 A court-appointed trustee overseeing the liquidation of Madoff's assets has said the apartment and other property used to secure bail was off limits for now. But if there's a conviction, those assets and possibly property of Madoff "insiders" could be seized to help pay claims by alleged victims. "We are looking at every member of the Madoff family," David Sheen, an attorney representing the trustee, said recently regarding the personal property. The information was contained in an order of consent asking a judge to grant the federal government authority to seek forfeiture of assets involved in any fraud. It was filed in a case brought by the SEC against Madoff. The request was made by Madoff, his wife, the Securities and Exchange Commission, the Securities Investor Protection Corp. and trustee Irving H. Picard. Judge Louis L. Stanton signed the order Monday afternoon. Picard has said that nearly $950 million in cash and securities has been recovered for investors so far. The 70-year-old former Nasdaq chairman has been confined to the Manhattan apartment, purchased in 1984, under house arrest since early December. He was arrested and charged with securities fraud after authorities said in court papers that he confessed to his sons that he had carried out a giant Ponzi scheme for years, using new money from investors to pay off early investors while bogus statements claimed consistent gains.